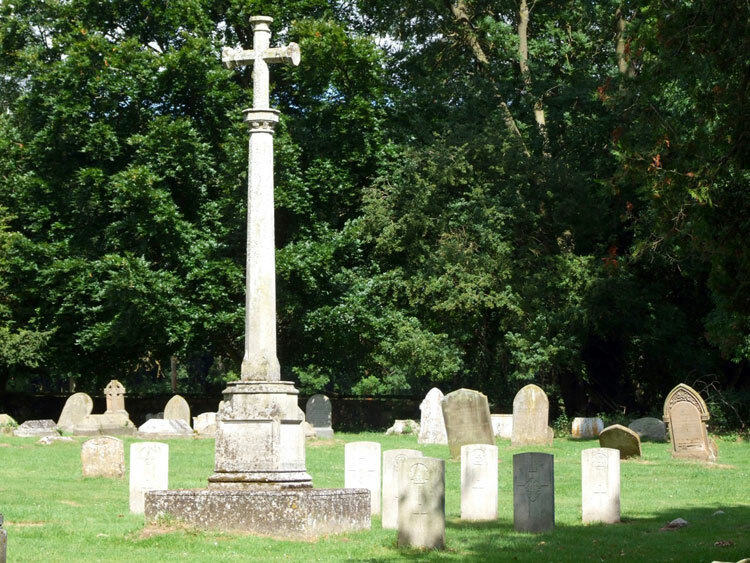 There are 9 burials from the First World War, and 1 from the Second World War, in Ingham (St. Bartholomew) Churchyard. 8 of the burials were for soldiers who had died in the Ampton Red Cross Hospital, and 1 for a soldier who had died in Lewisham Hospital. Headstones for 7 of the burials are situated close to the Ingham War Memorial. One soldier who served in the Yorkshire Regiment is commemorated on the memorial, and is also one of the adjacent burials. Private Barry M Parson. 200512. 4th Battalion the Yorkshire Regiment. Son of Mrs. Sarah Parson, of The Griffin Hotel, Ingham. Died at home 25 April 1918. 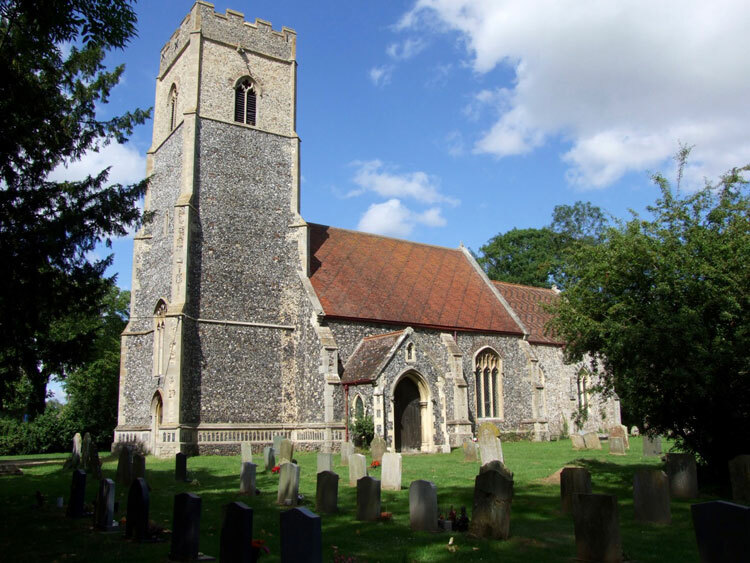 Enlisted Barton, Resided Bury St. Edmunds. 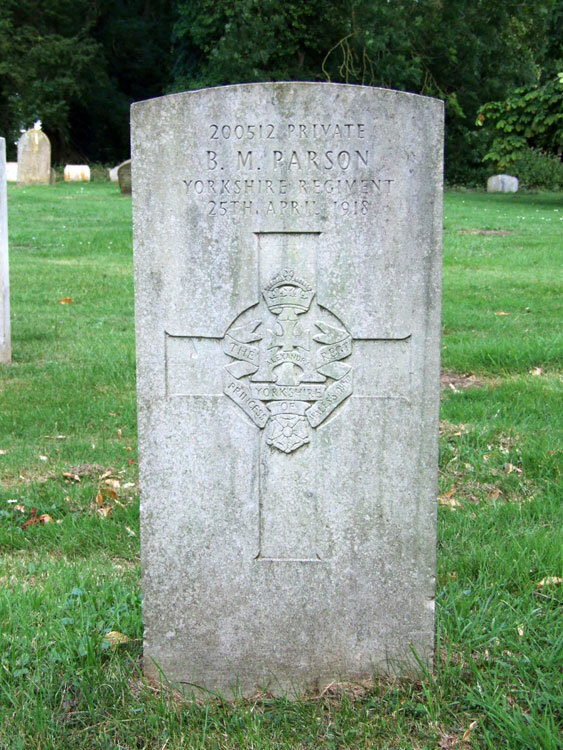 Private Parson's Headstone in Ingham (St. Bartholomew) Churchyard.